Wondering how your flooring selection can complement your existing countertops and cabinetry? We just bought a home with Cherry Hardwood Kitchen cabinets and granite countertops. What flooring would go with this color of cabinetry, and what type of flooring? We are thinking of travertine tile but are unsure of the correct color that would accent the cherry hardwood cabinets. To provide specific direction, we would need to know the color of the granite you used for the countertops, the color of your walls, and the type of flooring you have in each room. When choosing kitchen flooring, you will want to go with the flooring that is most aesthetically pleasing while also providing the functionality and durability you desire. The travertine tiles are beautiful; however, you will want to keep in mind that they also stay very cool and some say they are hard on your legs if you stand on them for an extended period of time. Of course, each flooring option has its unique pros and cons; therefore, it will depend on your needs and goals for the space. Also, be sure that you completely understand the warranty of whatever type of flooring you choose. 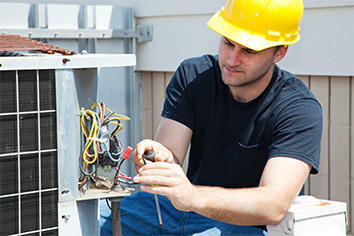 If you are working with contractors, be sure they clearly explain the warranty details to you. Another option you might consider is Duraceramic tiles that resemble real tile, but stay a bit warmer. These tiles can generally be used with or without grout. If you decide to go with a ceramic tile, be sure to choose a darker grout for easier maintenance in the future. White grout often turns darker and shows dirt quickly.